Ever wondered when you find an autographed book in the grocery store or the Target how it got there? Did the author do–as it is known in the business–a drive-by? Or did they, as I just did this week, find themselves in a warehouse surrounded by pallets of books (yes, I said pallets, not boxes) and were asked to sign all of them, so that not only your Target or Meijer’s or Krogers has an autographed copy, but so do every other store in that chain, state, or region. That is how I found myself this week in a warehouse outside of Chicago and facing down table after table of books, all ready with stickers, bookmarks and just awaiting that one last thing: my autograph. I just about fell over when I saw all those copies. I’d never seen so many copies of my books all at once. It is a little daunting when you realize the table is bowing under the sheer weight of all these books. Rather impressive, until you realize you have to sign them. All of them. Oh, and the other table beyond that. And when you empty one, the warehouse elves come along and refill it. Crafty little fellows those warehouse elves. Never turn your back on them. Of course there is no pressure to sign all them. Except for the sales rep sitting beside you telling you how many copies Julia Quinn did or how Eloisa James fared facing her mountain of titles. Yeah, no peer pressure or guilt there. With that in mind, because every one knows authors are so not susceptible to peer pressure or competitiveness, you sort of hitch up your uni-balls (as in pens) and get going. One at a time. And just keep signing. And signing. And signing. Then you start popping the Advil when you find you can’t uncramp your fingers from the pen, and your shoulder feels like it is stuck, and still, you keep signing. I signed thousands–copies of Love Letters from a Duke, Tempted by the Night, His Mistress by Morning, and One Night of Passion. This is a chance for lots of readers to get their hands on autographed copies just as they will be out looking for copies of the new books, Confessions of a Little Black Dress and Memoirs of a Scandalous Red Dress. And no, you can’t just get a rubber stamp and bless the books that way. It. Has. To. Be. Your. Signature. After two very long days of signing, I have to confess that the happiest sound in the world is when the tape gun closes up the last box, and the last pallet is returned to the warehouse where all those signed, sealed and delivered books will await shipment to stores all over. With my hand in a brace, I headed for O’Hare, thrilled that I’d gotten the job done. One book at a time. While waiting for my flight, I scanned the shelves at the bookstore and saw a signed copy of one of Tess Gerritsen’s books. I flipped it open and smiled at her signature. Contest: Take a guess at how many books I signed and who ever comes the closest will win a $25 gift certificate to Amazon.com. Just leave a comment with your guesstimate before midnight PDT, Sunday, March 22nd. 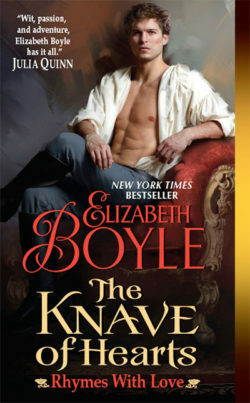 This entry was posted on Thursday, March 19th, 2009 at 4:16 am in Adventures & Travel, Elizabeth's Books, Giveaways, Freebies, & Contests, The Bachelor Chronicles, The Danvers, The Marlowes, TV, Movies, & Good Reads, Uncategorized. You can feed this entry. Both comments and pings are currently closed. OMGawd! Those are a LOT of books. I’m guestimating…3000. That sounds like such an overwhelming task. I cannot imagine how cramped your hand had to be by the time you were finished. I will guess 4,800 books. Elizabeth, you simply rock. Are the signed copies just going to be on the shelves? It’s going to be like Willy Wonka and the golden tickets. Which is WAY more than I think I could sign in a weekend. How sloppy was your signature by the end? Dang girl! My hand hurts just looking at all those! I’m going to guess 3400. Ouch. wow, this is so interesting. love the pics. I’m betting 7200. And I’m thinking that you should get thee to a hand massage ASAP! I hope that you went out and got a spa manicure after that. My guess is 6500. OMG, I can’t believe you had to sign that many books! You poor thing. I don’t know how your hand was able to function. My guess is 2,500. Wow, that’s a lot of books! I’m guessing 4250. I’ve never seen autographed books for sale at a store before. That would be awesome! 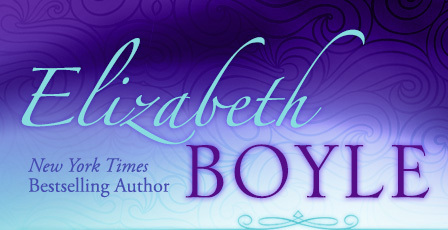 Elizabeth–have you ever thought of doing like Metsy Hingle does and have a feature on your website where fans can order autographed copies direct from you? I’ve ordered a couple autographed books from Metsy. I think it’s great and wish more authors did that. Well, according to your other blog, you were to sign an estimated 8000 books. I am going to go with that. I am going to go with 7,250. Even just that picture is a lot of books. Can you use that hand again yet? How is your hand? My hand just hurts thinking of all those signings. Maybe I should go to Target to see if I can get an autographed copy, I doubt that it would make it to Pennsylvania. My guess is 2,800. I looked at the table and roughly guess you did three times of what was on the table. As to that peer pressure, I say – let them sign more. It makes your signed copies even MORE valuable. My hand is getting better. I was smart and packed my brace because I knew it was going to be hard on the carpal tunnel. Laura, I’ve done the autographed book thing in the past and it is really a lot of work. I wish I had more time to do it, but I don’t. If you really want an autographed book, you can order them from one of the stores I am signing at–the B&N in Wichita or the Borders in Clearwater Fl. They take orders and will ship the book to you. Just go look at my Events page for contact info. And the manicure and hand massage sound good. I was thinking of going over and getting a session with the hand OT. She’s awesome and helped get rid of my CT when I had it really bad a few years ago. But I think she would lecture me up one side and down the other for signing so much. And Sarah, don’t trust my other blog, but thanks for reading it. Thanks for responding and for the info! I love the “uni-ball” comment! Hilarious! My guess is 6,000 copies. That looks like a huge stack of books! I’ll have my eye out for signed copies, though I plan on buying it regardless of if it’s signed! Saints alive, that’s a lot of books. My hand is cramping just thinking of it all! I am going to guess that you signed 8100 books. 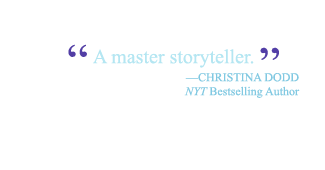 Can’t wait to read Confessions of a Little Black Gown! I think it was 3500. Whatever it was god bless!! I am sure you are ice packing that hand today!! Wow, that’s a whole lot of signing. Bless you and your worn-out hand! I’m going to guess 6895. Hi. Ok, from looking at how many boxes on a pallet to the size of the box, and guessing how many are in that size of box. Also the number of titles you had for the signing. My guess is 7200 books. My hand would hard too!! I meant my hand would “hurt” too! Long day. Sorry! I would love to find an autographed book, I’ll have to keep my eyes open. I’ll guess 6350 books. I am going with 6500 and this is just a wild guess! I sure looks like a lot of books to me. I have never run across an authographed book before in a store. I will have to start watching. I am going to go with a higher than average estimate, and say 12,000. Thinking about how long you were over there to do this, and how long it actually takes to sign a book, I think this is closer to the right amount. I hope I see one of the autographed books in the stores. I found an autographed copy of “One Night of Passion” at a used bookstore, and it made my day. Thanks for doing this for all of your readers! I’m going with 6789 books total. Can’t wait for more Marlowe books, so please keep your hands protected. They’re worth their weight in gold!!! I’m going to say 1500. That sounds utterly painful…I’m guessing 2000. Please give your hand some much needed TLC now! Ouch! I feel for your poor hand! I’m guessing 7100 books. That is an unbelievable amount of books!! I’m amazed, astounded, and impressed. Should I ever get a chance to sign that many books, I gonna shorten my name. Lol. Let me see, I guess, 5,200. I am way late to the party–but OMG, I can’t imagine signing all of those books. Way to go!! And I’m with Kelli, the uni-ball comment was HILARIOUS!!!! Confused as what to do this month website refers back to blog and nothing here. Do wish everyone have a Hoppy, Hoppy Easter. Forgot to say the reference to this blog was for your contest. Wow…that’s a lot of books! I always enjoy getting a little insight of this whole book distributing process. I will definitely be going to my nearest Target and B&N to look for a signed copy of “Memoirs of a Scandalous Red Dress”. I hope you got a well-deserved hand-massage/mani after signing all those books.